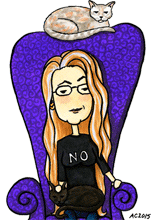 When Maribeth Doerr decided to get her website done with Wendy Cholbi’s Bonanza Package, she got not only her cartoon, but a custom header. 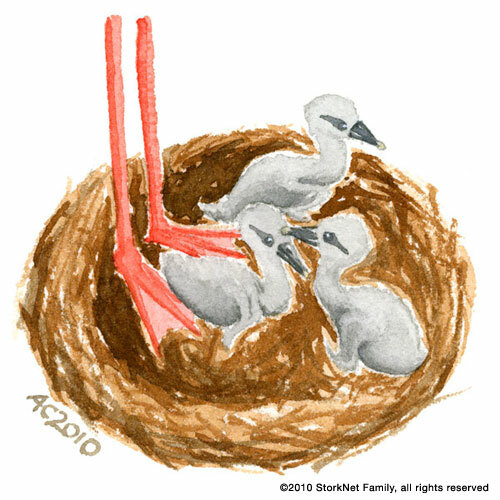 We talked a little about what images would work for StorkNet Family, and decided to go away from the classic “stork with a bundle” clip art and do something classier. I went looking for photos of baby storks, and found a great one of a mama stork standing protectively over her two babies. I translated that into a nest and just mama’s legs, with three babies for visual balance. From the sketch I did two versions, and this watercolor was the one we both ended up preferring. Her header, miniaturized below, continues the watercolor feel with a wash of blue across the top of the page. For the site itself we stuck to complementary colors sampled from the header, a nice baby-blanket peach and blue framing the clean white pages.